They say, if you build it they will come! This is 100% true with Little Tikes® Waffle Blocks. 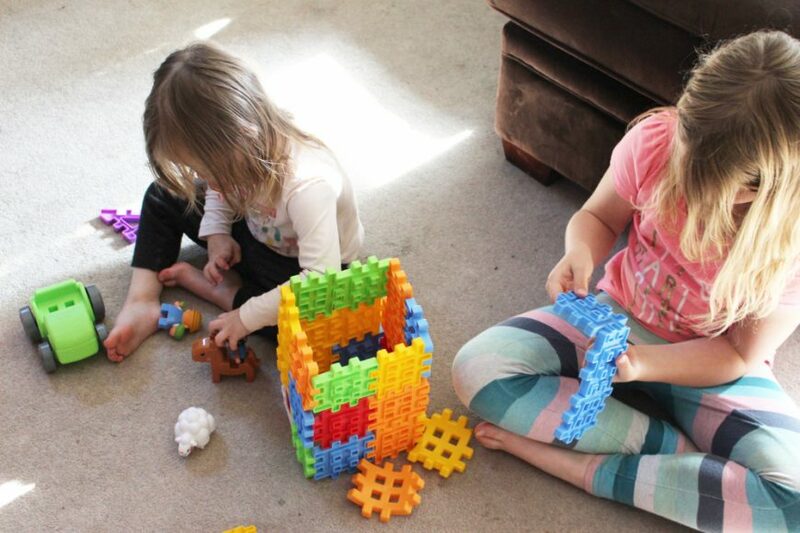 With two different Waffle Block kits, both kids can have their own fun and not fight over pieces. For the rare moments when the girls get along, they had a blast working together to build the farmyard buildings and then breaking it just as soon thereafter. 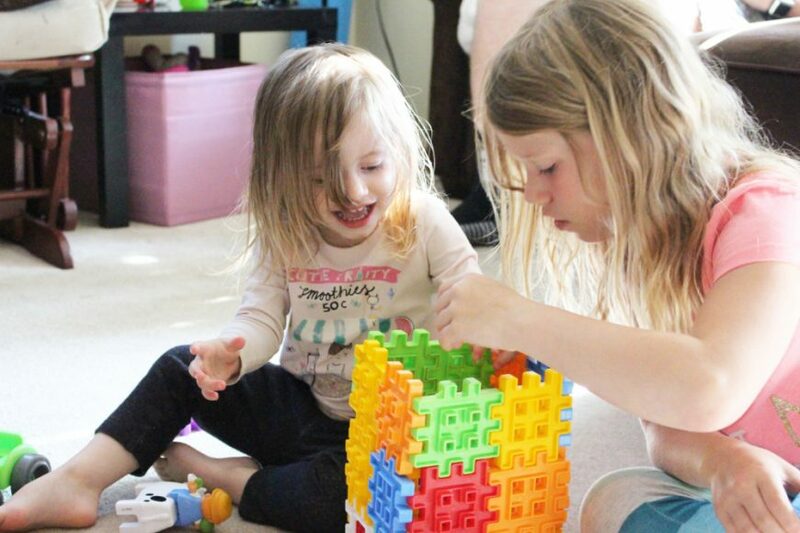 One of the great things that I love about the Little Tikes® Waffle Blocks is that they are fun for the entire family and the possibilities are endless! The instruction book inside comes with many examples on how to build the buildings, however, with a little imagination, you can build almost anything! 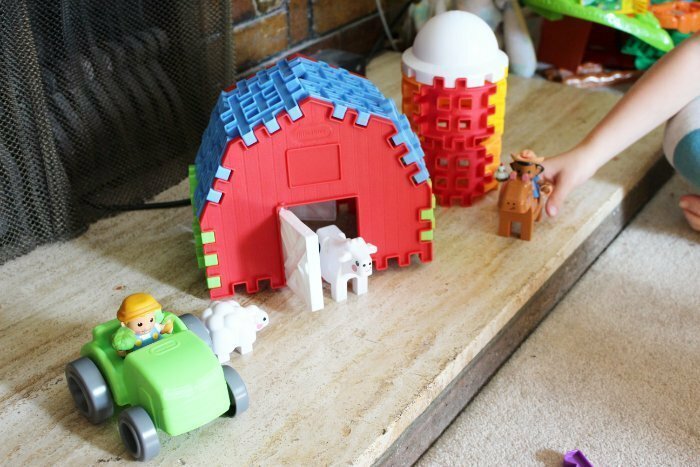 I found these to be much sturdier than our previous building blocks and it was much easier to build bigger things with fewer pieces which make for a quick and easy cleanup! 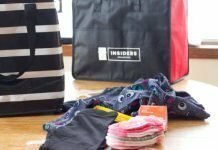 It also comes with a little mesh bag to keep all the pieces together and stored nicely at night time when it becomes less child and more adult. I should also mention that because they’re not as small as something like Lego, I am very happy to say that I yet to step on a piece. I love these Waffle Blocks, because no matter your age, it’s fun for everyone! It inspires creativity and teamwork between both the young and the middle-aged, I refuse to be lumped into the category of “old” just yet! We build, we break, and we imagine together as a family and have fun seeing who can build one building quicker than the next! While the box states that it’s for ages 2 to 102, I did find that it was a bit difficult for Zoe at 2.5 but Ava was a pro in no time. 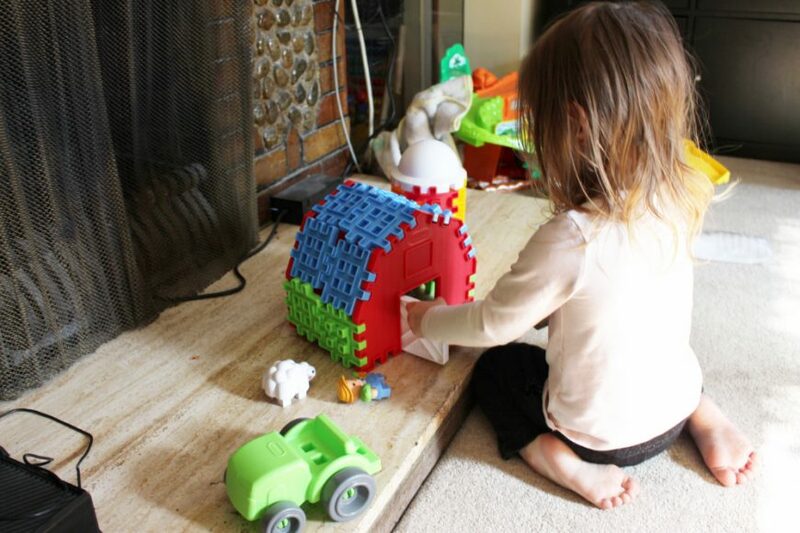 The Little Tikes® Waffle Blocks have an easy to use construction block system designed for kids three to seven. Each kid includes 80+ pieces and figure. The pieces can be stacked flat, snap together and you can also build in any direction. With four playsets in one, they retail for $34.99, do the math, that seems like a pretty good deal to me. You can find these available at a Toys “R” Us near you! 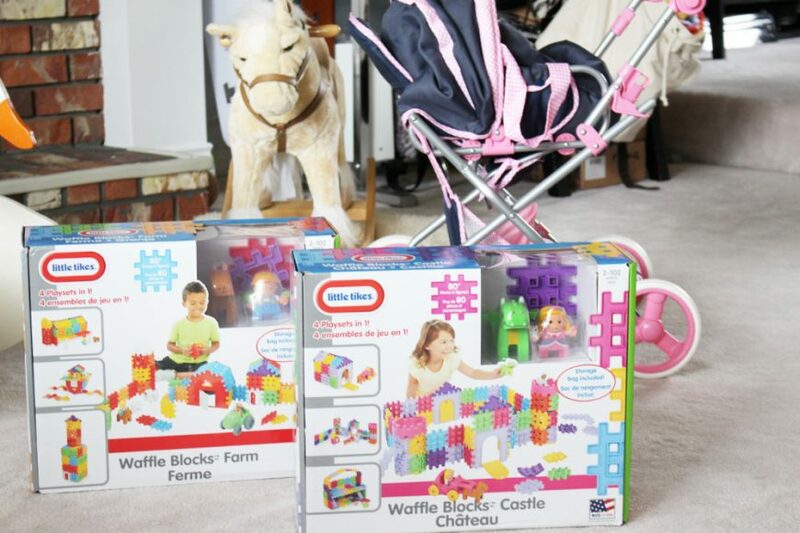 My girls have had so much fun playing with these two sets of Little Tikes® Waffle Blocks that they’re giving away both the Farm Set and the Castle set to one lucky CANADIAN reader! Please enter below! Disclaimer: We received both kits as compensation for an honest review and giveaway. All opinions expressed are 100% our own! 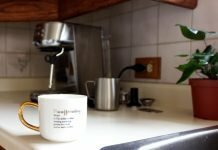 Next articleDear Fidget Spinners.. A Misunderstood Tool or An Over-Rated Toy? The farm would be choice number one! My granddaughter would love the Farm set! Those are so cute! What a fun toy! The castle is my fave! My nephew would love the Farm set. I honestly don’t know if I could pick. If I had to I think it would be farm. This is so cool!! I think my son would absolutely love it. I think it would be the Castle. The farm would be our first choice! My grandchildren would love the farm the most. Such fun toys, my boys would love this! Farm would be our choice! My granddaughter loves animals so I think the farm would be her favorite. My daughter the animal lover would love the farm set! I think my daughter would like the Farm set. These look so fun!!! The castle would be a big hit with my kids! This is so cool! My nephews would love it! My oldest would love the castle my youngest would like both of them . I think the farm would be the favourite one. I think my godson would like the Farm Set the most, but he’s a little engineer and loves building things and figuring out how they work, so he would love either. I.. I mean my son.. Would like to play with the farm set ? The Castle set would be so fun! Love the little dragon, too! My baby would love the farm. He loves his little toy animals. My daughters would love the castle most I think but they would definitely love the farm too! My granddaughter would like both but I think her favorite would be the farm! Hm, to be honest I think my kids would love them both equally – they are obsessed with castles, but at the same time their grandparents own a farm so they have a lot of love for farms too. 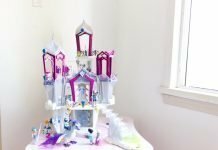 I suppose the castle could be the winner overall though since it looks like it comes with a princess and a dragon – the characters would be the deciding factor for the win! Pretty sure my kiddo would love the castle! I think my son would love the farm set! My niece would definitely love to castle set! My daughter would love either, but let’s say the castle!